Most people would agree that buying a car ranks among the biggest investments you will make in your life. Car shopping can be an intimidating process; high-pressure sales staff, vast inventories, and varying prices can lead to nothing but confusion and dead-ends. If youre a first-time buyer, Quirk Pre-Owned, our used cars dealership serving Boston, has some inside tips to make shopping easy and successful. When it comes to car shopping, we can use all the help we can get. Quirk Pre-Owned wants your search for the ideal vehicle to be easy. Simply, follow a few guidelines and check out our Boston area used cars for a convenient, stress-free shopping experience. If there is one thing to remember during the shopping process, staying organized is it. Managing your budget, your transportation needs, and the type of car you want is vital to a smooth search. Before you can manage your budget and determine which vehicle is right for you however, you must find a realistic budget to stick to. Establishing your budget is simple. In an ideal world, we would be able to pay for everything using cash, but most often a bigger purchase requires the leverage of financing. Calculate your current monthly expenses, as well as your monthly income, and find a comfortable number that will cover a car payment, car insurance, and fuel payments each month. Financing a car for the first-time is no easy feat. As a beginner, the sheer volume of numbers you are faced with can send you into a downward spiral. used cars dealership serving Boston has an easier option; the First-Time Buyers Finance Program. This program doesnt require a credit check or credit history, and all you need is a recent pay stub to participate. 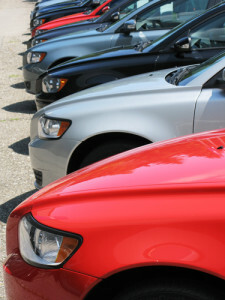 So, now that you have figured out your budget you can enjoy the job of picking out a car. Keep in mind your transportation needs, for example, if the main purpose of the car will be for your commute to work each day, choosing a fuel efficient and reliable vehicle is a good idea. The trick is to have the ability to meld the type of car you need with the type of car you want, and to be willing to make sacrifices when it comes to style and aesthetics. Searching for a vehicle certainly presents its fair share of challenges, but understanding a few key tips will give you the leg-up you need. If youre a first-time buyer, visit Quirk Pre-Owned. We offer a quality inventory of pre-owned vehicles, as well as financing options, so you can enjoy a seamless shopping experience. For more information about our used cars dealer serving Boston, call 877-466-1512 today!